The school year is wrapping up, and it’s time to start thinking about that end of year cleaning checklist. Those of you who work in schools, how do you handle this? Do you have a routine? Do you involve students? It can be a bit overwhelming some years. I don’t know of many jobs where you have to pack up your entire office and work area on a yearly basis other than teaching. I am glad for it though, because it provides an annual opportunity to reevaluate materials and setup. It’s a scheduled time to reflect on what worked and what didn’t, what was useful and what is just taking up space. I like to involve my students in cleaning on the very last day. I’m not going to get any productive, academic work out of them, but it’s still important they have structured tasks to do. I think it also helps students develop a sense of pride in their classroom and responsibility towards the classroom community, especially since two-thirds of my students will return to my room next year. They get to see their handiwork and feel pride in preparing the room for the incoming sixth grades. 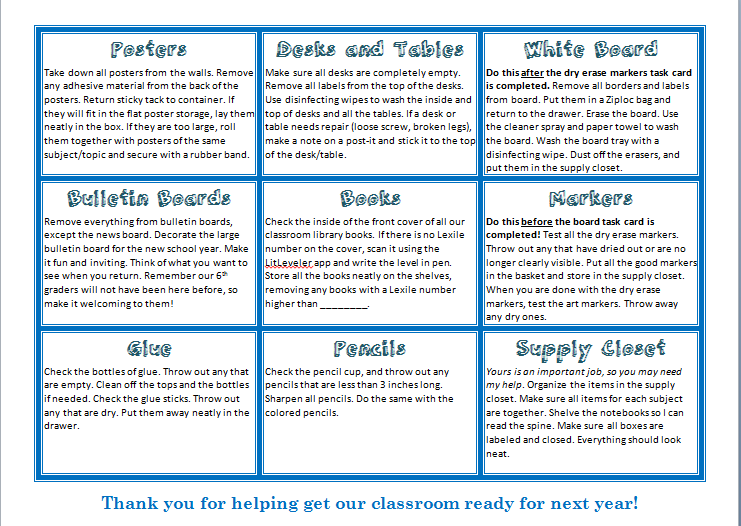 This year I stumbled upon a cool idea for end of the year cleaning task cards for students over here at Chalk and Apples TpT store, and I decided to develop a similar idea. My students already have classroom jobs through the year, and we use a classroom economy. However, there are always a couple students who end the year in debt, and I’ve never really known what to do about this. I don’t want to roll the debt ever into the next year, because I like everyone to start on a fresh, positive note. There’s no practical consequence though, so this year I thought I would have students work off the debt by helping with end of year packing and cleaning. They were going to earn so much debt cancellation for different chores that needed doing. That didn’t work out very well, because all my students wanted to help clean, even though I gave the debt free students the option of free computer or phone time. So, while this activity failed to be a consequence for ending the year with debt, it was a very successful and helpful method for structuring the end of year clean up and organizing all the tasks students could help with. What do you think? You can download your own copy here at my TpT store. I laminated it and had students check off each task as they finished. Student favorites were the bulletin board and the supply closet. I actually had 2 students working together on the closet with my assistance. They really liked organizing everything and deciding where our supplies for next year would go. I also let them take home anything I didn’t want anymore. I decided to go crayon free for next year. My middle school students have decided crayons are too young, and they haven’t been touched in my room for two years. I let my pencil sharpener take home as many as he wanted and then had him create bags of crayons for students to take home and give to younger siblings. So, what do you do on the last day of school? Do you involve your students in cleaning and packing? If so what tasks do you have them do? Is there anything you would add or remove from my menu board? This morning I had a student come to me in tears before school started. She had checked her grades on the student portal on her phone while waiting in the morning car line, and she was devastated to discover that she had made an F on a test that she had really studied hard for, both in my resource room and at home. She was so upset and truly shocked. Unfortunately, I was not shocked. Her Cued Speech transliterator was absent the day the student took the test, so her regular education teacher had her take the test to me so I could cue and read it aloud to her. This granted me a unique opportunity to see the test myself. Yikes! There were several questions I had to read twice before even I understood what it was asking. Many questions were intentionally designed to be tricky, leading you to think it was looking for one answer when really that information was irrelevant to the actual intent of the question. I understand that some teachers do this prepare students for college or standardized testing or, perhaps, even for convoluted situations that may occur in real life, but if the point of the assessment was to gauge the students’ current knowledge of the content on the test, then it fell far short of the goal. My student knew her stuff. We studied backwards and forwards together, and I made a Quizlet for her to practice at home. She even had her classmates and younger sister quiz her from the study guide several times, too. She not only memorized the study guide, but she really understood and could apply the information when prompted to. Before seeing the test, I had been confident she’d make an A. As teachers, I think we need to very carefully analyze how we are writing our tests and why we are writing them that way. What is the goal of the assessment? Our goal should not be to trip up a previously confident student who had put in a ton of effort to learn the information. The goal should be to assess what they know and understand, and we need to make sure we are writing the tests accordingly. Check out this blog post from Teach 4 the Heart about common mistakes teachers make when writing assessments that can alter the purpose of the assessment:8 Mistakes You May Be Making When Writing Tests. We don’t want students to memorize or guess, but we also don’t want to damage their motivation to continue studying by causing them to fail for reasons other than content understanding. Wow! It has been a fantastic first week of school here! I have never had a year begin so smoothly. Hopefully, this a good omen of the months to come. We started our week on Tuesday since Monday was Meet the Teachers day. One of our parents was kind enough to mention that “You know your child’s teacher is in the right place when Meet the Teacher is more of a family reunion, and the kids are actually excited to start back to school.” I was so happy to hear her view the day that way; although I do have a bit of an advantage since I keep my students for 3 years in a row. Tuesday started with a rush of FM equipment assignments. How do you manage your hearing equipment monitoring and organization? I have 13 students in my school who use FM equipment in addition to their hearing aids and/or cochlear implants. 12 of them keep their equipment in my room, and that’s a lot of chargers, wires, transmitters, and individually programmed receivers to keep sorted. It took a bit of practice, but I think I have gotten my students trained to the system of coming a few minutes early to school, going directly to my classroom, putting on and syncing their own receivers, providing an adult with the transmitter to do the Ling 6 sound check, and then marking their monitor documents themselves with the correct annotation to note if the equipment is working or if there was a problem. Then, at the end of the day, the students leave their class a few minutes early to return the equipment to my room and hook everything up to the chargers labeled with their initials. It is a smooth system that has worked for me the last 3 years. I will give more detail about this in a later post if there is interest. Do you do something different? I would love to hear about it? In my self-contained classroom, all my kids were returning students, so I kept all my classroom routines and rules either the same or pretty similar. This made reviewing the procedures quick and easy. I addressed changes as the need arose so as not overwhelm any students. They were more receptive than I expected since some of my students with OHI (OCD) or ASD are typically highly resistant to changes in procedures. There were really very few classroom changes though. I started right in on academics on Wednesday.In 8th grade science, our unit is “Our Changing Earth: Structures and Processes.” We are learning about the layers of the Earth, plate tectonics, and continental drift for the next two weeks. 7th grade is doing a chemistry unit, but in my room, we will only be studying the 4 states of matter and then the difference between homogeneous and heterogeneous mixtures. The rest of it a bit too abstract, and won’t have much real life application for the students chosen career categories. Social Studies is U.S. History with a focus on South Carolina, so we are starting with a unit on Native Americans. I’m doing a cross-curricular unit with that and ELA, since the ELA unit is myths with a theme of cultural identity. In math, we started with a unit on 3D shapes to begin our geometry focus. The students were great all week. They did well getting to their inclusions classes on time and finding their way around the school. Most of them have at least one core class in the general education environment, and they are doing well keeping up this first week and advocating for their accommodations. Altogether, they have done really well, and I hope it continues. How was your first week? If you haven’t started school yet, what are you doing to prepare? 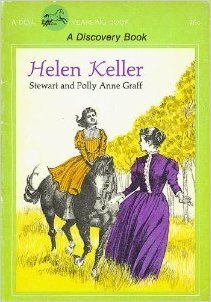 I just finished reading Helen Keller Toward the Light with one of my summer students. She loved it! This is an older book, and I couldn’t find any more recent editions of this biography. Although there are certainly plenty of biographies on Helen Keller out there. What is unique about this book version is that only 2 brief chapters in the beginning are dedicated to Helen Keller’s childhood. The majority of the book focuses on Helen as an adult. This was a unique perspective for my students who are more familiar with the initial fight between young Helen and new Anne. My student had never known that Helen Keller went to college and traveled the world or that she helped start many schools both for the deaf and for the blind. This book also mentions Laura Bridgman who was really the first known deaf-blind person to be fully educated, not Keller, which shocked my student. I love this version of the book, because it is specifically written for students who are Deaf. As a result, the sentences were written very simply and the vocabulary was clear. Any difficult words were explained in the story. There is also at least 1 picture in every chapter to visually summarize the main point. It is an excellent high interest-low level read for upper elementary through lower high school students. I give it a full 5 stars! I highly recommend it as an addition to any Deaf literature collection. What is your favorite Helen Keller biography? Do you discuss Helen Keller or Laura Bridgman in your classroom? Well we are half way through summer now and deep into ESY. As a special education teacher with a high-need skill, my contract has me on call for the extended school year (summer school for special ed), and every year, I’ve been called in. I love it though, especially now as a classroom teacher during the regular nine month school year. ESY gives me a break in routine and lets me return to my itinerant roots, traveling to my students to work with them one on one on high need, functional skills: language and auditory training without worry for content knowledge like social studies and science. It’s a much more relaxing environment for me since there’s no curriculum pacing guide we have to rush to keep up with. I try to make sure that is also a break for the students, too. It is summer after all, and none of them are happy to be one of the few who gets pulled from camp by their school teacher or, worse, has their teacher visit them at their house! 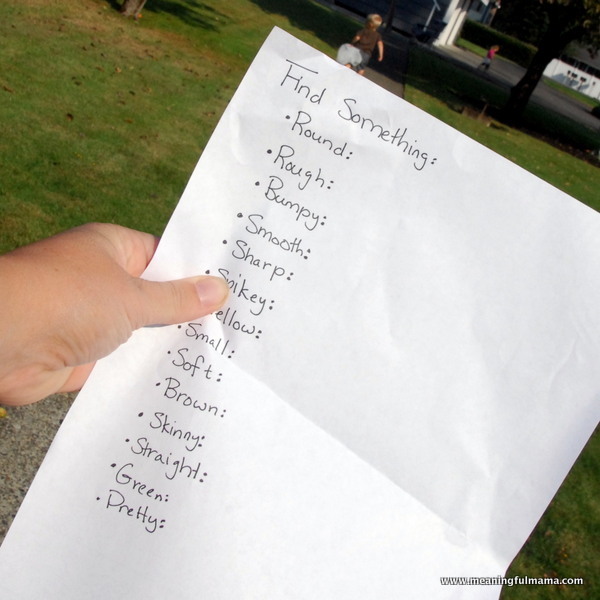 Go on a vocabulary scavenger hunt. This one requires you plan in advance and are familiar with hte environment. I will sometimes have students meet me at the public library or my school classroom, and this is one of my go to lessons for those settings. It’s pretty straightforward and real simple to prep. Give students a list of the vocabulary they are learning. They then have to find examples of those words in the room (or building or yard). Just make sure there is at least one item that would fit each word. This works best for nouns and some adjectives. Verbs and adverbs are tricky as there’s no guarantee someone will be doing something to fit the word. I have let students act out these words before, though, so if you really want to include them you can with a that minor modification. Bring in the iPad! I have a personal iPad, and my summer students consider this the most sacred of rewards. Originally, I thought I would use the iPad in my classroom, but after our school iPad was broken by an overly excited student who forgot to put the iPad down before she started signing about her game score, I removed my personal iPad from the classroom. It’s too expensive a device to risk. However, I do bring it out during ESY. It’s a more supervised, one-on-one environment, so the risk is reduced, and the motivation and feeling of exclusivity for the students makes the risk worth it. For every 1 paper activity my students complete without complaint, they get to complete 1 round of 1 educational game on the iPad. They will do just about anything willingly to get that iPad access. We also usually write our own kid’s book using different iPad apps as a summer-long project. I publish the books and include them in our class library during the school year, so student has something to show off to the other students who didn’t have ESY. Sound classification outside Speaking of all the outdoor noise, another great activity I use with my newly hearing or younger ESY students was dubbed Summer Sound Sorting (by a student who had just learned the word “alliteration”). This can be a relaxing activity for a student who is feeling frustrated with other work, but be aware it may be very difficult with student with severe hearing loss or who have been recently aided/implanted. We go outside and be as quiet as possible. The student has to try to name each sound they hear. Is it a bird? A lawn mower? A car? Was that the wind or a person? 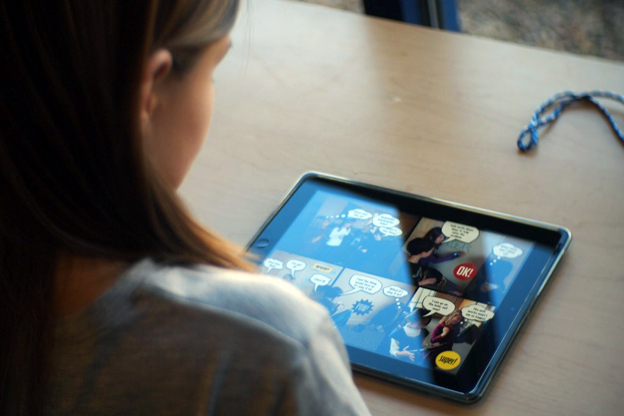 Sometimes, we’ll take the iPad out to record all the sounds to review later. One student made a sound book with audio clips for his summer book project. 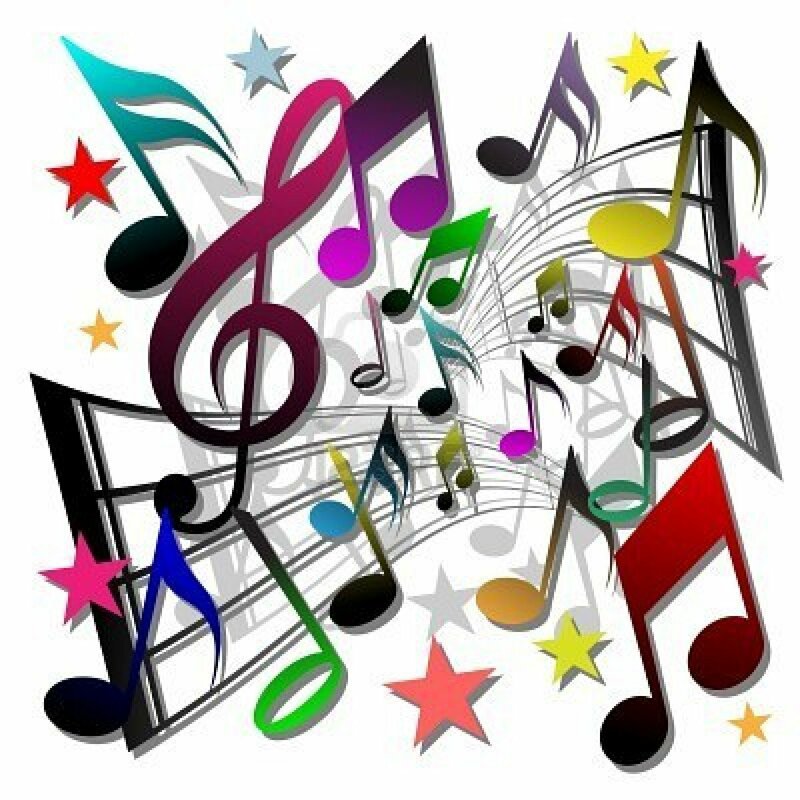 Popular Songs During the school year, I have students bring in songs they want me to cue and/or explain for them. I’ve started requiring this of my ESY students. Each session they have to bring in a song them like (parent responsibility to check for appropriateness), and we go over the vocabulary, idioms, and figurative language that comes up. My students love it! I love it too, because it gets them listening to music more and gives them something to talk about with their chronological age peers. Often, my students get left out of many social conversation about bands and top songs, but this helps keep them in the loop. We even work on singing along! Keep it active! For most ESY activities, I try to make sure the student is moving. Even just a little movement can go a long way. Instead of a matching worksheet, we’ll use flashcards and really spread them out. We will act out books instead of write summaries (although they may have to write the script for us to act it!). Thanks to this inspiring blog post, I also have a beach ball that I wrote conversation topics on. We toss it back and forth; whichever topic our left thumb lands on, we talk about for a minimum of 3 minutes and no less than 3 student sentences. Anything to get them moving will help keep your students engaged when they’d rather be playing. So how about you guys? 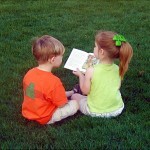 Do you have any great summer therapy or ESY lessons? How do you make summer learning more fun for your students? Hello, and welcome to Talking With My Hands! This is a blog about Deaf education, sign language, Cued Speech, and Deaf literature. For me, this blog will allow me to share my experiences as a teacher of the Deaf and a graduate student. I hope it will also enable collaboration with other Deaf educators and allow for communication with professionals and community members. There will be at least 1 video post and one book review per month. Books will most often be Deaf literature, meaning it is either written (or signed!) by a Deaf author or it has at least 1 Deaf character in the story. There will also be some nonfiction books about issues in education, deafness, language acquisition/development, or communication modalities. Video posts will be in either Cued Speech or American Sign Language. My goal with these posts will be to get feedback to improve my skills while spreading awareness of these essential communication skills. I expect to have posts about every other week, so stay tuned in for regular updates.